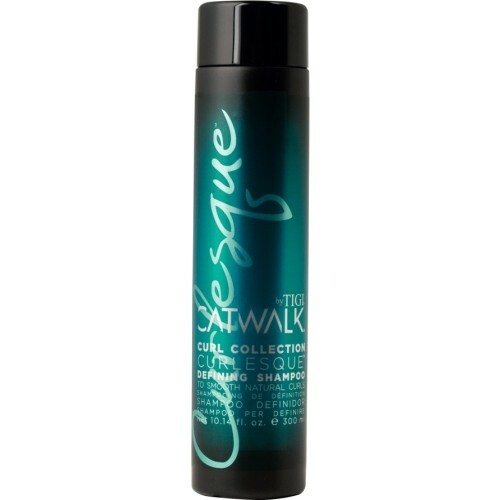 TIGI Curlesque Defining Shampoo, kun 118kr! Køb den her! Aqua (water/eau), cocamidopropyl betaine, disodium laureth sulfosuccinate, glycerin cocamide MEA, sodium lauroyl sarcosinate, PEG-120 methyl clucose dioleate, parfum (fragrace), cusumis sativus (cucumber) fruit water, divinyldimethicone/dimethicone copolymer, phenoxyethanol, discodium cocoamphodiacetate, acrylates/vinyl neodecanotate crosspolymer, glycol distearate, amodimethicone, panthenol, aureth-4, polyquaternium-55, c11-15 pareth-7, plyquaternium-67, laureth-9, butylphenyl methylpropional, polyquaternium-7, quaternium-95, hexyl cinnamal, linalool, trideceth-12, c12-13 pareth-23, c12-13 pateth-3, limonene, citric acid, propanediol, benzophenone-4 hydroxycitronellal, hydroxyisohexyl 3-cyclohexene carboxaldehyde, citronellel, tetrasodium EDTA, methylchioroisothiazolinone, helianthus annuus (sunflower) seed oil, propylene glycol, methylisothiazolinone, fucus vesiculosus extract, laminaria digitata extract, macrocystis pyrifera extract, crithmum maritimum extract. Arbejdes gennem håret og også hovedbund. Skyld grundigt. Afslut med Curlesque Hydrating Conditioner. Sådan finder du de rigtige hårprodukter til krøllet hår!